The best way to learn about the Garces difference is to experience it for yourself.  Complete the Admissions Inquiry form so we can help expand your knowledge about Garces Memorial High School. Should you prefer to contact us directly rather than completing an online form, or you simply have questions that you are not finding the answers to, please email Kim Harper or call the admissions office at 661-327-2578. Come see for yourself. Attend one of our admission events. Cheer on our Rams at games or applaud our Garces musician on stage. Check out Garces’s news & events and school calendar to learn more. We look forward to meeting you on campus! At Garces you can explore a rich world of academic and extracurricular possibilities make real connections with a diverse student body. Our staff and faculty are committed to the task of educating young people to live full, responsible, and meaningful lives strengthened through the curricula and experiences unique to a Catholic school. One thing that unites all our students is the desire for an excellent college preparatory environment. We offer more than 35 honors and AP classes, taught by outstanding and responsive faculty members who are invested in their student's success. Being your best self also means being empowered to reach your full potential spiritually, academically, and socially. With more than 20 student clubs, academic teams, fine arts programs, 37 CIF recognized athletic teams; there are numerous opportunities for challenge and growth. Each year our graduating seniors overwhelming cite a sense of family as the best characteristic of Garces Memorial High School. That family is cultivated through retreats, community service, and a vibrant faith-filled community. If you would like to be kept up to date on our admissions process and campus events please fill out our "Future Ram" inquiry form. If you would like to contact us directly, please call 661-327-2578. We look forward to meeting you and introducing you to the Garces community.